The Adam Carolla Podcast live from the Laugh Factory in Long Beach, CA. Adam Carolla, born May 27, 1964, is an American radio personality and television host, comedian, and actor. 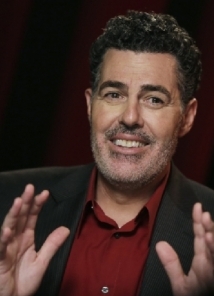 He is the host of The Adam Carolla Project, before which he hosted a weekday morning radio program broadcast from Los Angeles and syndicated by CBS Radio, until his home station changed formats. Besides these shows, Carolla was well known as the co-host of the radio show Loveline from 1995 to 2005, and its television incarnation on MTV from 1996 to 2000. He was also known as the co-host of the television program The Man Show. He is now the co-creator and performer on the television program Crank Yankers.